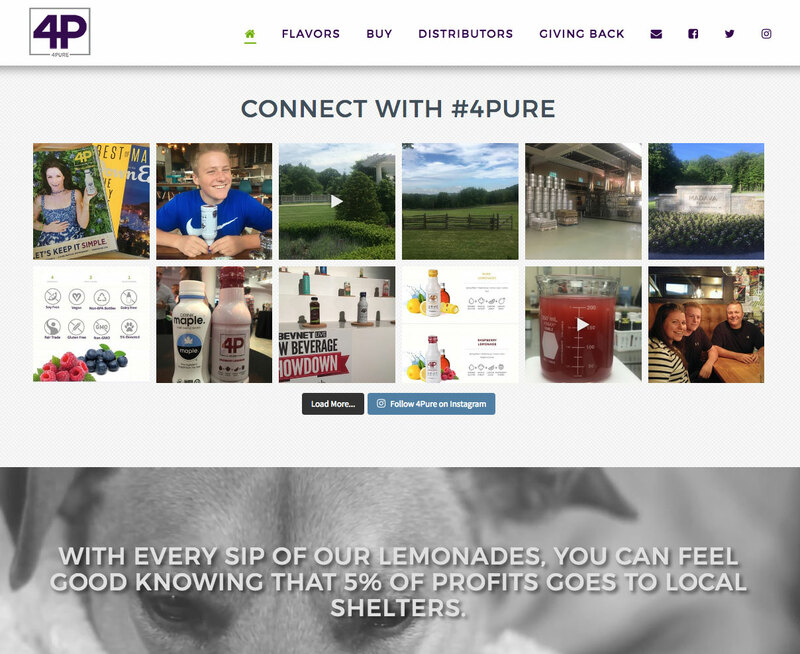 We’ve worked with Will Boyle, 4Pure owner, a few different times in the past so we were looking forward to another fun project. 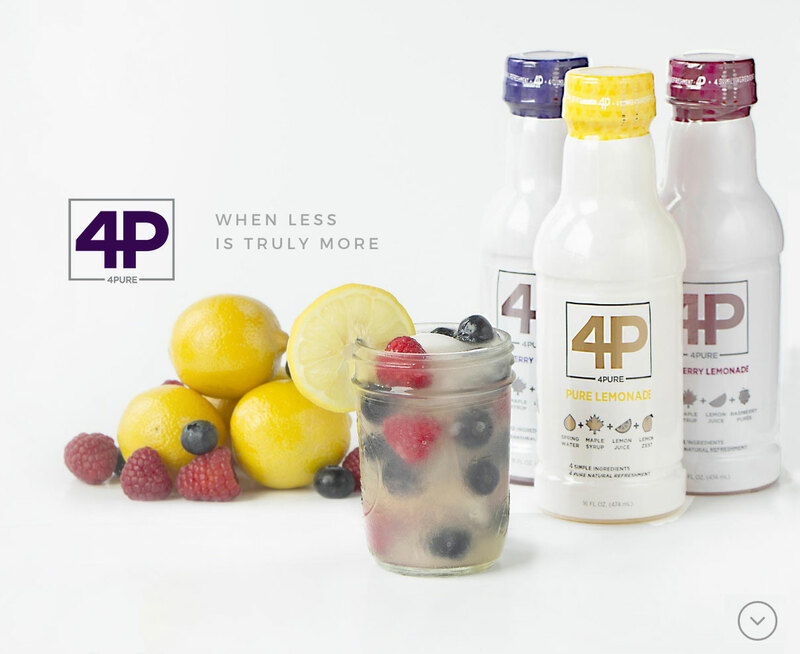 His new company, 4Pure, is a flavored lemonade with three different products. 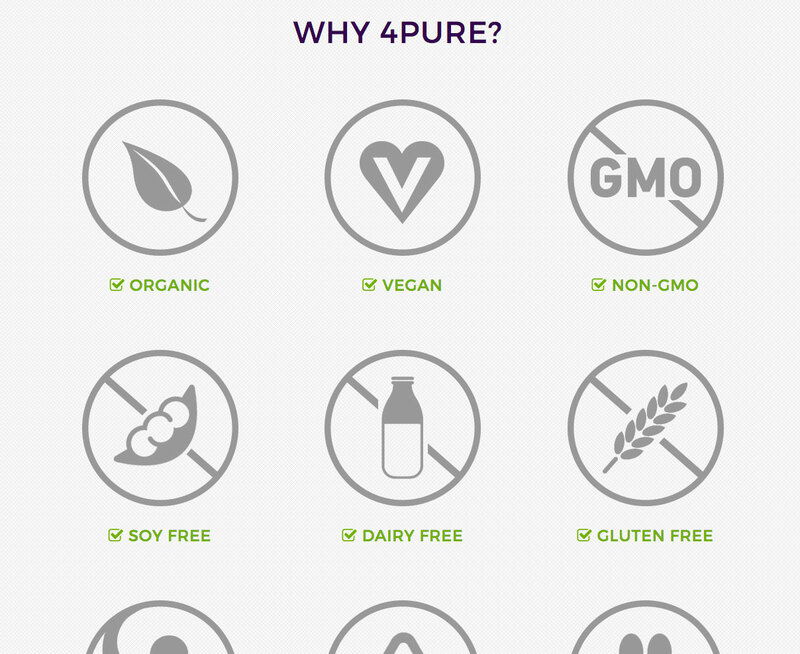 His company is based on health and simplicity (only 4 ingredients in each product) so we wanted the website to reflect these traits. 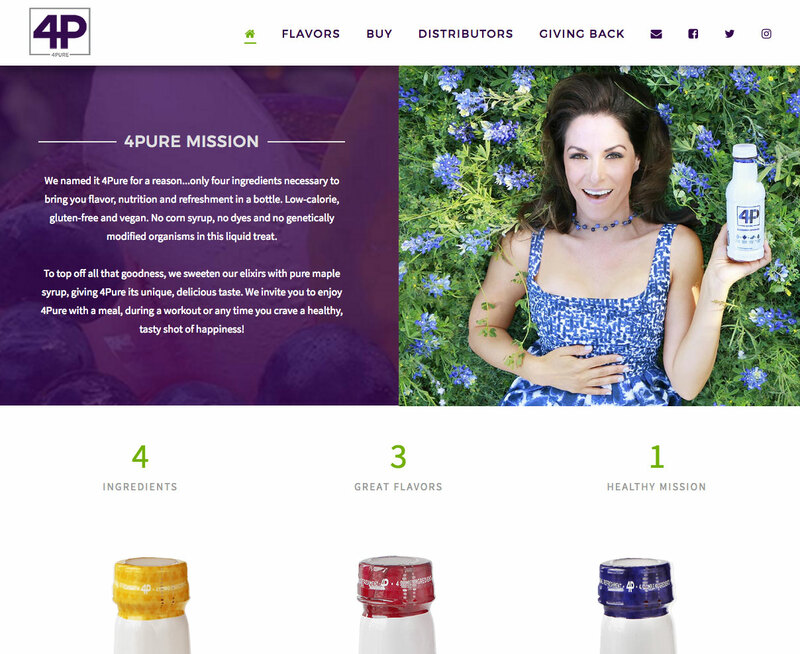 We developed a beautiful responsive website with lots of light open space and subtle background imagery. 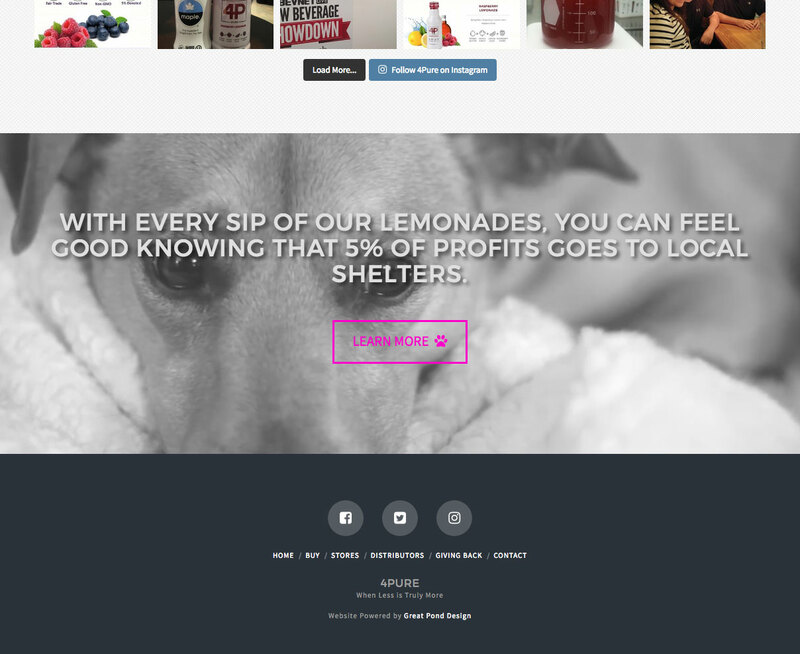 We embedded his Instagram feed on the home page, as well as his Facebook feed in the sidebar of internal pages. 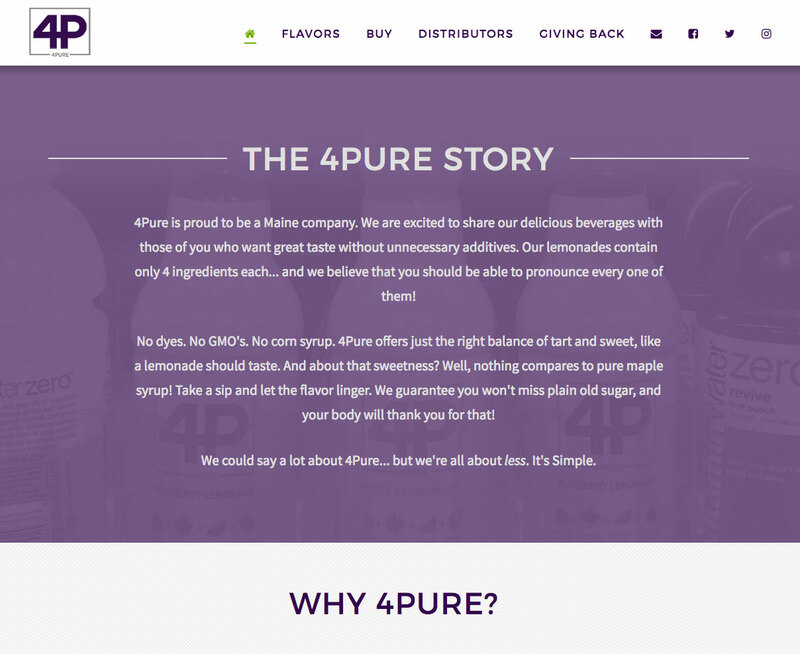 When visiting the site, the company’s mission is clear, and you’re able to navigate around in a very uncluttered environment… thankfully, the 4Pure team was just as thrilled with the site as we were. Note to future clients: good photos go a long way and can aesthetically make or break a website! 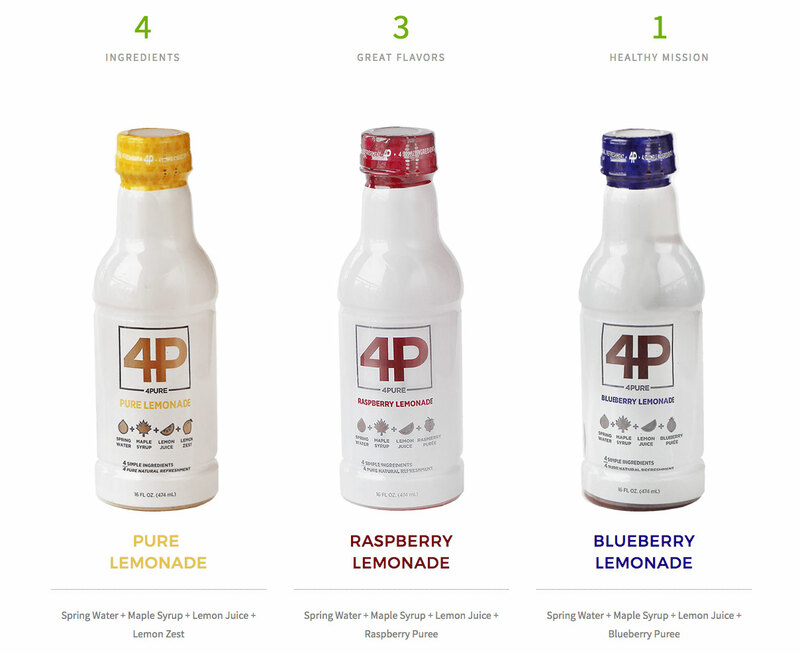 4Pure provided us with excellent photographs and the benefits are clear to see.